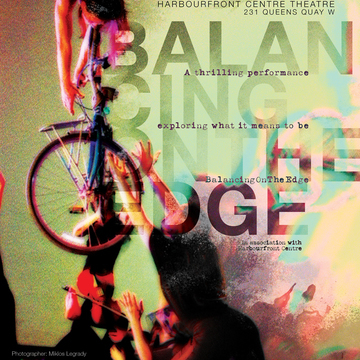 Balancing on the Edge hasn't added a story. We are calling on YOU: patrons of the arts, friends of the artists and fellow artmakers to help make this production possible. Any contribution is appreciated. We know that some of you may not be able to attend the performance so we hope that you will consider contributing to the production through this campaign. 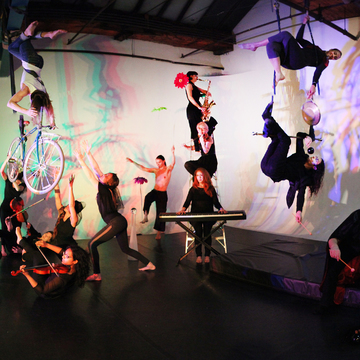 We believe passionately in this project and are pouring our hearts, souls and the considerable skills of our talented participating artists into this ground breaking interdisciplinary production. We look forward to seeing at the show and on the pages of our campaign. Visit our website and facebook page to find out more about the production and stay tuned for regular social media posts as we gear up for our World premiere! 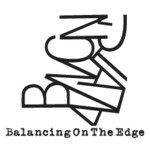 Balancing on the Edge hasn't posted any updates yet. Backyard-The inner circle of our circus! Signed BOTE Poster designed by graphic designer extraordinaire Kristin Messina! Clown Alley-Welcome to the 3 ring cirus! Big Top- Where the magic happens! Grandstand-Seats to the greatest show on earth! Dreamt of flying through the air with the greatest of ease? 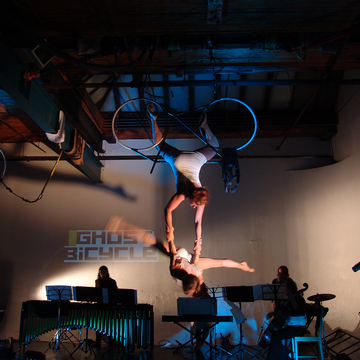 Try your hand at aerial circus with an exclusive private lesson with BOTE artist and Co-AD Rebecca Devi Leonard. Marquee - Your name in lights! Mounted Photo of BOTE performers in action-Choose from a beautiful selection of images taken by one of our talented photographers. Ring Master-The one and only! Gourmet home cooked dinner for you and select group of friends with BOTE Co-artistic Directors-includes a private post-dinner concert by members of TENMC and wine! Come backstage after the show and meet the cast! Owner of the Circus- The grand orchestrator! 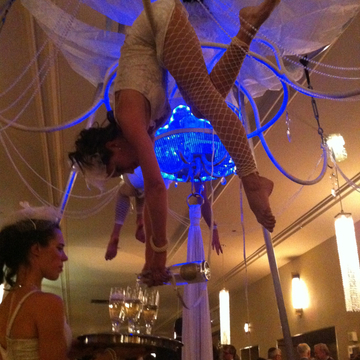 Champagne Chandelier: An aerial chandelier suspended on a free-standing rig with beautiful BOTE performers serving champagne for your special event. Great for weddings and Galas. 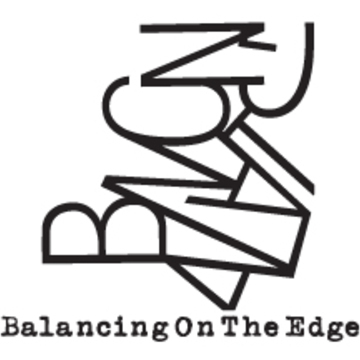 Balancing on the Edge is managing the funds for this campaign.